The Phantom Pattern is also a recessive gene. 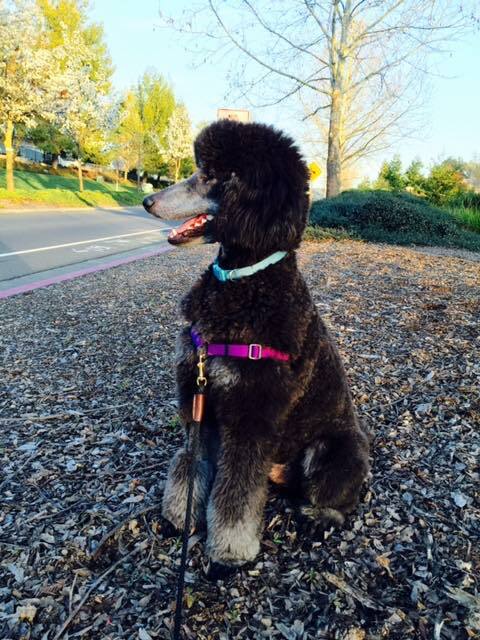 Phantom poodles are bi-colored, with the same markings as a Doberman. That is, they have a lighter color appearing on their "eyebrows," muzzle and throat, legs and feet, and below their tail. For a dog to be classified as a phantom it must have all the markings of a Doberman Dog. ​Phantoms can also have brindle in the markings though not their main body. 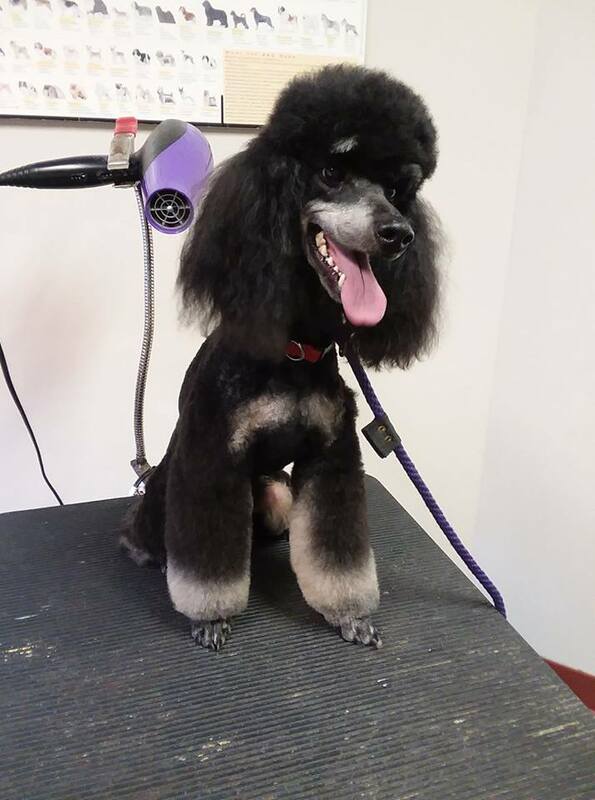 No matter what the color combination, a dog's coat must comply with the standards for phantom markings to qualify for conformation shows. 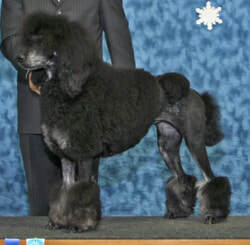 When you hear the term "phantom poodle" it does not refer to a specific breed or size of poodle, only to its color and markings.